I have been home from back east for less than a week and I am still feeling the excitement of my trip. You can look at last week’s Post and see why I am flying high. But, with all the great news last week, I delayed sharing some information hopefully you will find interesting. Well, we know it is very improbable that lightning will strike the same place twice. But, some times the improbability does happen. For me, the unexpected happened once again. Remember back in April, I shared the story about Makayla Hilt. I met Makayla on the final leg of my air travel from Atlanta to Tri-Cities, TN. She happened to be a Senior at Emory & Henry College and represented the first time in all of my travels to east Tennessee while flying actually meeting a student from E&H College. I was excited about the short time we had on the flight and was completely impressed by her accounting of her years as an E&H College student and her optimism about her future. I also met her parents once we arrived at the airport. Based on my memory, her father was also a graduate from E&H College. Yes, I felt I had been struck by lightning! seated and I again felt the need to engage my fellow traveler in conversation. Within minutes it was revealed that he too was an E&H College student. WOW! In the past three trips traveling from Atlanta to Tri-Cities, two of the three trips resulted in me having a seat next to an E&H College student. The young man was Dallas Gillison, a current Junior. It was a true delight to visit with him as we talked about his various experiences as a student at E&H College and his goals after college. Dallas, is from New York and became aware of E&H College only because a friend of his father’s was traveling on Interstate 81 and took Exit 26, the exit for E&H College. This friend was not at all familiar with E&H College and decided to ventured onto the campus. It was a Saturday and the friend ended up attending the afternoon football game. He was impressed with the campus he saw and the people he encountered. Then, out of the blue, he contacted Dallas, who had earlier left the University of Southern California disillusioned about college. Dallas was encouraged to take a close look at E&H College and the rest is history. Dallas’ educational goals include preparing for a future in Foreign Affairs and/or Community Policing. He has the U.S. Department of Justice in his career sights. He has also been very involved in community service having done work in New Orleans following Hurricane Katrina. He has worked in “soup kitchens” and has helped provide food for the homeless. Did I hear someone say “heart of a servant”? I believe Dallas is at the right place at the right time…E&H College. I was truly impressed with Dallas. I consider him to be a young man with great promise and the potential to be a true “difference maker”. Yes, lightening struck twice and I was very grateful for another opportunity to visit and listen to another student’s story and thoughts about E&H College. Looking forward…I will now and forever be on the look out for more E&H College students on all my future flights out of Atlanta. While I am praising students, Mariana is certainly on our “Watch List” as she prepares to compete in the National Spelling Bee Contest. She is shown below with the other winners at the Regional Level Competition. Mariana, is an 11-year-old who is an Anne G. Broady Scholarship Fund recipient. She will be competing with about 27 students from around Costa Rica. Her category of competition will be the “Impromptu Speech” contest and she has a great chance to win. The National competition will be held on November 15th, 16th, and 17th and most of the competition will be held on the 16th. Several “Friends” have sent me comments and expressions of congratulations regarding Mariana. If you haven’t, I encourage you to send a short note soon to her and I will forward all the notes I receive to show our support. Also, only one parent can attend the competition and no teachers or friends are permitted. Mariana’s mother, Lorena, will be attending. All of Mariana’s expenses for the three days will be covered by the Spelling Bee organization or the public school but Lorena will have to cover her own travel, including room and board costs while she is attending the event. Some of local “Friends” plan to collect some money to help Lorena with some of her expenses. According to Ana Yancy, the estimated cost will be less than $150.00. If you feel at all inclined to help out, please do. No pressure! We just believe strongly that this is a fantastic opportunity to show our support in a very tangible way. So, if you are feeling inclined to donate a couple of dollars, the same usual methods are available…PayPal or send me the money and we will get it into the PayPal system. Please let me know if you decide to use their PayPal system so “Friends” can track ALL donations. Questions? Contact me at atbroady@aol.com. My “Friends”, this is what we are all about. 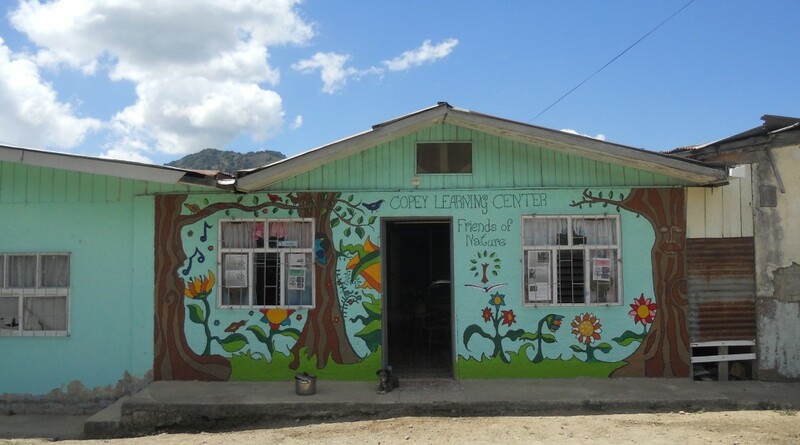 We are here to help support the mission/goals of the Copey Learning Center. We appreciate the trust and confidence we have earned with the community and certainly the parents. We are about 10 days away from the Learning Center’s Summer Break and we will have so many great and wonderful accomplishments documented for this school year. THANKS TO ALL!